I haven't had the mindset or the arm strength to finish any projects but here is what I'm playing with this week craft-wise. I wasn't really looking for a new project but I found this really fun pattern that uses two contrasting variegated yarn colours to make a scarf. 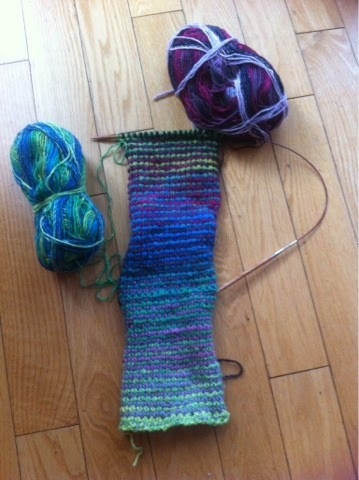 This yarn is Bernat Mosaic. I'm loving how it's working up! 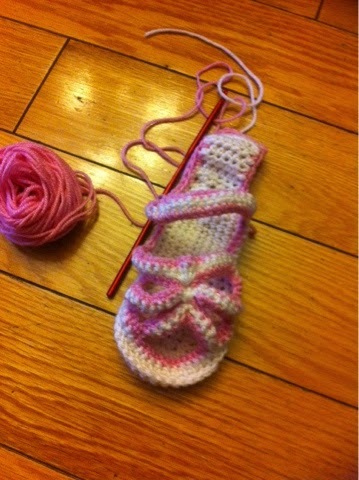 I have some gorgeous alpaca/silk blend yarn to crochet a pair of baby sandals. Still on the first one but isn't it adorable?! 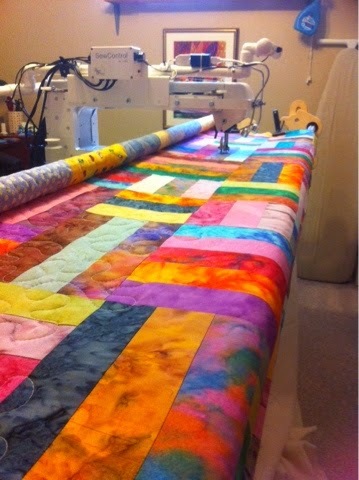 I'm working on machine quilting this lovely quilt to be donated through the Victoria's Quilt organization. 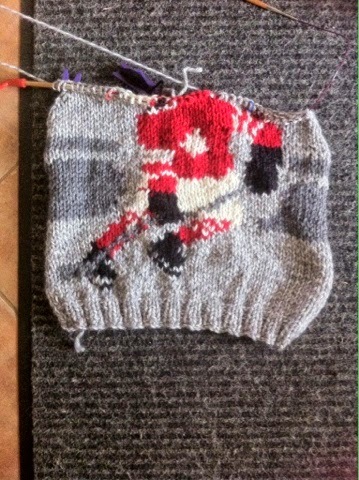 After several failed starts, I'm finally near the top of the hockey player's head for the sweater I am making my son. I've learned so much doing this project. What have you been having fun with this week?